eliminate or mitigate risks and threats they encounter as they live their lives and engage in their businesses. business or personal conflicts, and litigation. They vary in degree, and occur in a seemingly random fashion. However, perception is not always reality. before causing serious disruption or harm. before they require complicated and expensive professional intervention. Our security services will be customized to your requirements and they are scalable - from simple assessments to armed personal protection. We purposefully design our security services to be minimally intrusive in your lives and on your businesses, while still achieving your security objectives. If risks manifest into tangible threats and more robust security is required, we will propose a limited escalation of security services proportionate to the threat. If the threat is critical or trending that way, we are poised to provide immediate, comprehensive and aggressive security services. to address your needs quickly, safely and legally. i2SL will always evaluate your security objectives and offer the effective integration of technology to meet your objectives. Our team utilized technology in almost every investigation we conducted in our former law enforcement careers. Properly deployed, technology significantly lowers the cost of security and deters threats. And, most importantly, it often produces compelling, convincing evidence for you to act upon. it is often the most practical and affordable solution to difficult security problems. Our mission is to protect you, your family, your business and anything else that is important to you. i2SL will work with you to define your most serious risks and threats and carefully estimate the probability of their manifestation. We will provide options for rational and affordable security solutions from which you can choose. We understand that our clients will have individual thresholds for risks and threats. So, we will work with each client to determine the level of security required to make that client feel safe and secure. or to customize a complete security plan tailored to your requirements. 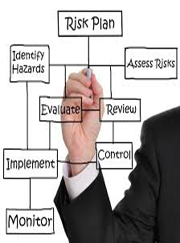 so that mitigation or management efforts and resources can be properly allocated against the right risks and threats. Any discussion of security or security services begins with the concepts of risk and threat. These terms are often used interchangeably, but there is a real distinction. Risk is a determination of the likelihood of an injury or loss occurring and the potential severity of that injury or loss. Threat is defined by the imminence of injury or loss. Consider the following personal and business risks, and those unique to your environment. Begin thinking about which are likely to evolve into real world threats to you, your family or your business. Please do not begin your mitigation planning after a risk or threat has turned into an emergency. At that point, you are as dependent on luck as you are on skill. Preparing yourself, your family or your business to face risks and threats is a straightforward process. First, you assess and then you plan. and recover from a real world manifestation of a threat into a problem or crisis. A mitigation plan is your response to the security assessment. It begins with a thoughtful evaluation of your assessed vulnerabilities. It continues with a review of your current security and controls to determine their adequacy in relation to those vulnerabilities. It then evolves into a specific plan to eliminate or reduce your vulnerabilities to risks and threats to an acceptable level - within your budgeted resources. and the severity of the potential impact on you or your business if those risks become problems or crises. It is highly dependent on your risk threshold. So, a true quantitative analysis is not really possible, as qualitative judgments are always injected into the analysis. facilitates effective, rational decision making and mitigation planning. i2SL is anxious to assist you with thoughtful, common sense security assessments. We will help you develop mitigation plans - customized to your unique security requirements - that protect you, your families and your businesses, but do not unreasonably interfere with you living an enjoyable and productive life or conducting your business. can undermine and stifle operations. Too often security processes overreach and security products are so complicated that they stifle operations or are just ignored. of suggested courses of action. The end result is often an incomprehensible security plan and an unrealistic schedule of disruptive testing and exercises. When security processes and plans become onerous and cumbersome they fail. Senior executive personnel delegate the responsibility for the program and cut resources. by risk management personnel or insurance professionals. This outcome is unacceptable and it is unnecessary. and judgment from key personnel and then a concentrated effort from a security coordinator or consultant. Someone has to be accountable. planning become a business resource. And, they become less intrusive and consuming as they become established business practices. - a process that is flexible, adaptive and tailored to your specific requirements.